What's the furthest a fan travels to come to a Rovers game? 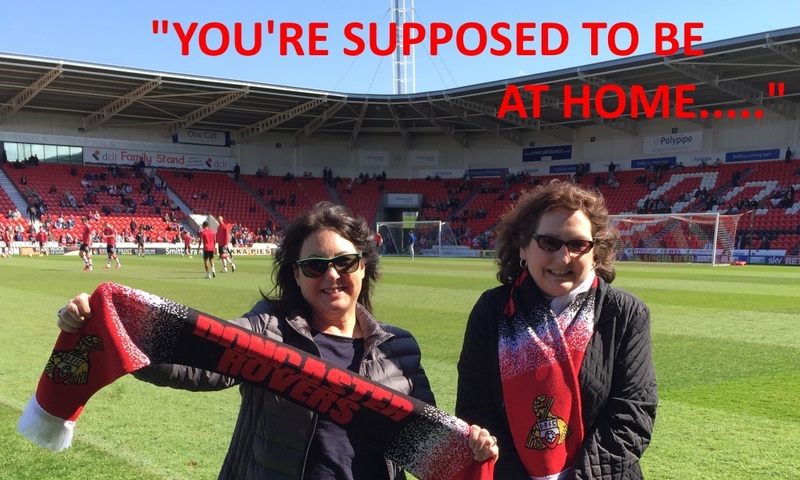 Last Saturday, Ruth Milano, VSC member and more commonly known to regular Viking Chat users as "Sandy Lane", and her sister Amy visited the Keepmoat for the Rovers v Fleetwood Town match. What's surprising about this? The ladies live in upstate New York. Back in January, Ruth contacted VSC Chair Rob Clark about their forthcoming trip to the UK and their plans to take in a match whilst they were over here, and so a covert operation to give the girls a day to remember swung into action. Rob takes up the story. "I contacted Ryan Murrant to see what the club could do to make the day special, and between us laid on a series of activities. The girls were chauffeured from Doncaster Railway Station to the ground in an S-class Mercedes, given the full tour of the ground, met Paul Dickov and James Coppinger, sat in the dugouts, had time for a pint of 1879 in the Belle Vue Bar (and met one or two other fellow Viking Chatters) , managed to stock up on Rovers kits in the club shop sale, then took in the game from the back of the South Stand." Ruth said "We had a wonderful day. Ryan and Rob made the day extra special for us, and Amy and I would like to thank them for their hospitality and kindness. We really enjoyed the stadium tour and learned so much about football and the inner workings of the club. The Keepmoat Stadium is really very impressive and the tour highlighted how much we have to offer players and fans there. Of course we also loved the car service from the train station and our gifts of the Rovers scarves! All in all it was a lovely day and one we won't forget any time soon."